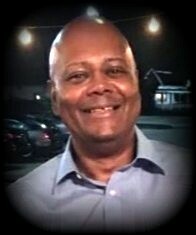 Larry Marcel Mangum, Jr.,62, formerly of Fayetteville, died Tuesday, January 29, 2019 in Richmond, VA.
Funeral services will be conducted on Saturday, February 09, 2019 at 1pm at Second Missionary Baptist Church in Fayetteville with Dr. I. E. Swann officiating. Burial will follow in Northside Cemetery. He is survived by his parents, Larry Sr. and Viola L. Mangum of Fayetteville. Sisters, Marceletta Evans (Kenneth) of Fayetteville and Lisa Mangum of Jacksonville, FL. Brothers, Darrell Mangum (Carole) of Fayetteville and Charles Mangum of Myrtle Beach, SC. A viewing will be held at the funeral home on Friday from 5-7pm.